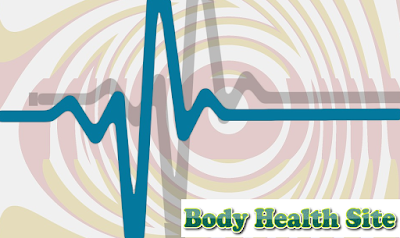 Changes in heart rate rhythms can make a person uncomfortable, even feeling scared. Some medical reasons and conditions that can cause a heartbeat to be fast. When it's right to check your heart rate, that is when you wake up in the morning. Attach two fingers, usually the index and middle fingers, to the wrist for 15 seconds. Calculate how much the heart rate is felt, then multiply four to find the heart rate per minute. This is a basic heartbeat or heart rate at rest. The rapid heartbeat is also called the term tachycardia. This is a condition that occurs usually because of an electrical impulse abnormality that controls the amount of the average human heartbeat. Tachycardia is classified as if someone who is in a resting state has a heart rate exceeding 100 times per minute. Unlike the assumption of the general public, a slow heartbeat at rest actually indicates a person's health condition is in good condition. This indicates the heart muscle is in prime condition, so it doesn't need to work too hard. Except for a slow heartbeat, this is accompanied by complaints of dizziness, shortness of breath, or chest pain. Conversely, when the heart rate is fast, it means the heart is working harder and inefficient so that the risk of making the body not get enough blood flow. Tachycardia can appear without causing complications, but it can also increase the risk of stroke, impaired heart function to cardiac arrest, and even death. Research on heart rate at rest for 10 years showed that the risk of death was higher in participants who experienced an increase in heart rate during this period, compared to those who remained stable. The age factor greatly affects the heart rate. As you get older, your heart rate at rest will be faster. There are several other factors that trigger rapid heart rates, such as exercise, sudden stress such as fighting, fever, excessive consumption of caffeine or alcoholic beverages, drug side effects, smoking, and electrolyte imbalances in the body. In addition, there are certain health conditions that can cause a rapid heart rate, for example, high blood pressure, anemia, hyperthyroidism, damage to heart tissue in patients with heart disease, and disorders of the electrical pattern of the heart due to congenital conditions from birth. Handling is carried out aims to slow down the condition of a fast heartbeat, prevent the recurrence of these things, and reduce the risk of complications. In some cases, a rapid heart rate can slow down with the help of a few simple movements, called Vagal maneuvers. Movement such as coughing, straining as if defecating, or putting ice on the face, can affect the vagus nerve which regulates the heartbeat. However, if the action is unsuccessful, the doctor is likely to give an injection containing antiarrhythmic drugs or other oral drugs to normalize the fast heartbeat. In conditions that are considered emergency and the drug is unsuccessful, the medical expert will perform a cardioversion procedure using an electric shock device in the heart. This action is expected to repair the heart's electrical impulses so that the heart rate returns to normal. Several other follow-up actions to overcome a sustained rapid heartbeat such as catheter ablation, use of pacemaker devices, to cardiac surgery that require thorough medical preparation and consideration. Maintaining an ideal body weight and staying active, while reducing stress and avoiding smoking are some ways to keep your heart healthy and avoid rapid heartbeat. Consult a doctor for more information. 0 Response to "Know the Reasons for Fast Heartbeat and How to Overcome It"